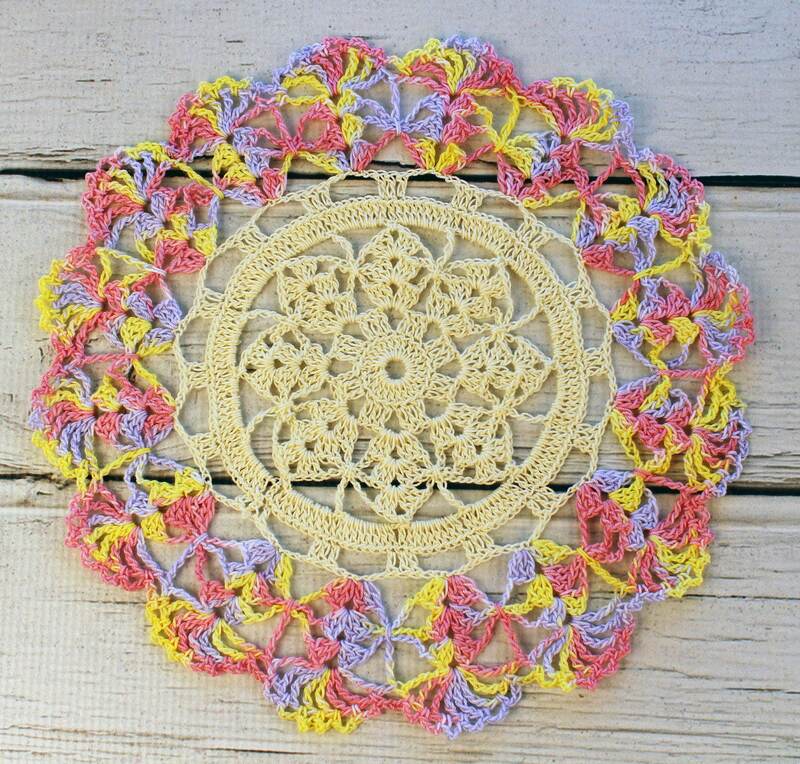 Crocheted Cream Pink Yellow Lavender Variegated Table Topper Doily - 10 1/2"
Up for sale is a lovely doily hand crocheted by me. 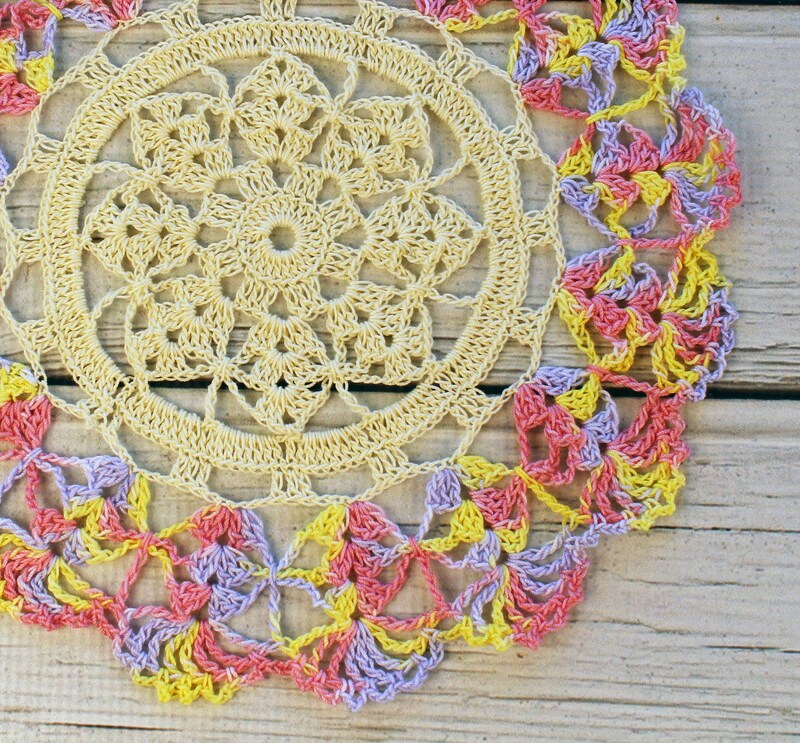 I used cream a lovely specialty hand dyed thread in size 10 called "Lilac Cherry Bouquet" in shades of pink, yellow, and lavender. It measures approx. 10 1/2 inches. All my doilies are gently hand washed to block, rinsed very lightly in liquid starch to hold their lovely shape, and ready for display. 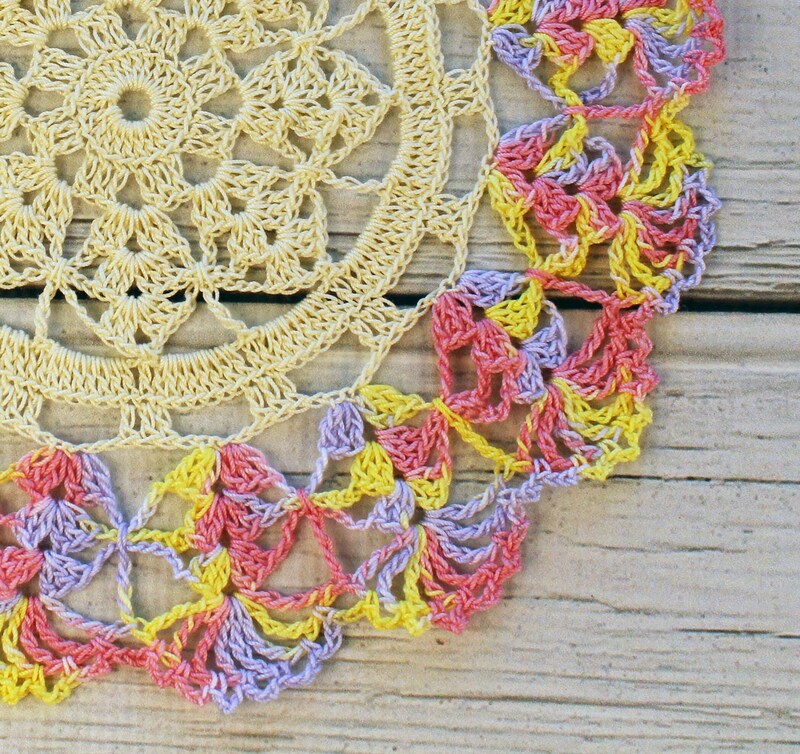 This pretty doily will add a touch of class to any decor!